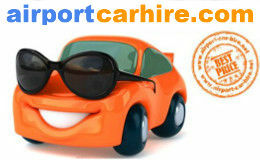 Car Hire Ireland Dublin Airport for driver 21 to 99 years All Inclusive. Save on compact, people carrier and economy car hire and book the Cheapest Car Hire in Dublin directly with us and save time and money when you are renting a car at Dublin Airport or Dublin City Centre. All hire cars are fully inclusive with no hidden extras. We will save you time and money by comparing all the leading car hire companies at Dublin Airport. Hertz, Avis, Budget, Europcar, Alamo, Enterprise, and many more. Pick up your car at Dublin Airport or Dublin city centre. 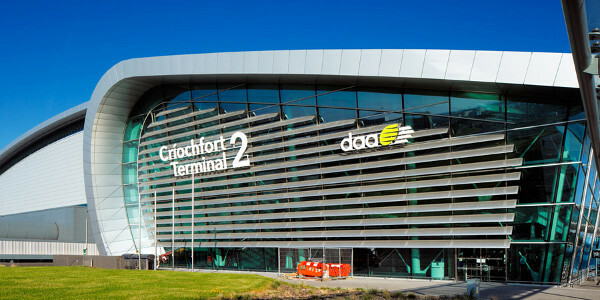 Dublin Airport is the busiest airport in Ireland. Situated on the North side of Dublin approximately 10 KM from Dublin city centre close to the M50 and M1 motorways. A wide variety of shops are situated in The Loop at Dublin Airport where you can purchase Crystal Glass Souvenirs, Spirits and Wines, Jewellery & Watches, Menswear, Sportswear, Books and Magazines, Medicines, Bank, ATM's and Self Service Post Facilities etc. There are also a number of Bars and Restaurants and cafes including Starbucks Burger King, The Bagel Factor, Butlers Chocolate Café, Café Select, Caffè Ritazza, The Food Hall, T.O'Riada Bar and Zumo Juices. Transport to and from Dublin Airport is very accessible whether it be by Bus, , Taxi or use a rented car, the access roads and motorways are very good. 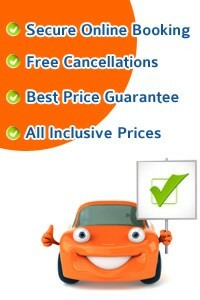 Take this opportunity to get the best car rental deals in Dublin... CHEAPER. The first step is to let us know how old you are. The vast majority of car hire companies in Dublin will not rent to drivers under 25. However we can arrange it for you if you are between the ages of 21 to 25 but you will need to pay a supplement of €40 per day. A full licence held for minimum of 2 years with no major endorsements will also be required. UK licence holders need to present the photo card. This fee will be included in the rental price and will be payable on arrival at the rental desk in Dublin in Euros. 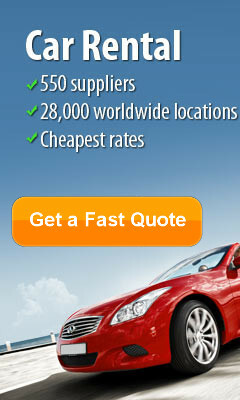 Start by getting a quote from. City Car Rentals Dublin. Drivers up to 80 years of age can rent a car in Dublin without incurring any additional supplement fees. All the rates quoted are fully inclusive and have no hidden fees. This is the drive away price. Drivers over 80 years of age are unfortunately unable to rent a car. You will need a full licence held for minimum of 2 years with no major endorsements. Some companies will require a full licence held for minimum of 5 years with no major endorsements. Please check the rental conditions for the car you select. UK licence holders need to present the photocard. Book the Cheapest Car Hire in Dublin directly with us and save time and money when you are renting a car at Dublin Airport or Dublin City Centre. Location: Dublin Airport is located 5 miles from Dublin City centre, very easily accessible with a good road network and M50 and M1 motorways. access. Train service: No direct train service from Dublin Airport but there is an express bus service operated by Dublin Bus which goes directly to Heuston and Connolly train stations. Car Hire: The car rental companies desks are located in the arrivals hall at Dublin Airport Terminal 1 building. Head for the exit door and they are to the right before you exit the door next to Bank of Ireland Branch and beside the escalators. Terminal 2 Car Rental straight ahead as you emerge from Customs. Collect your hire car from Dublin airport and head north out of the city towards Howth for lovely coastal drives. Howth is a picturesque working fishing village, famous for its excellent seafood, gorgeous cliff walks and resident seals and dolphins. Alternatively, head south towards Greystones in County Wicklow to see more gorgeous scenery and take a lovely cliff-side walk that follows the train tracks into Bray. You can pick up your car in Dublin and drop it off in Cork city which can be reached in less then three hours via motorway, where you can experience a change of pace and some Munster hospitality. 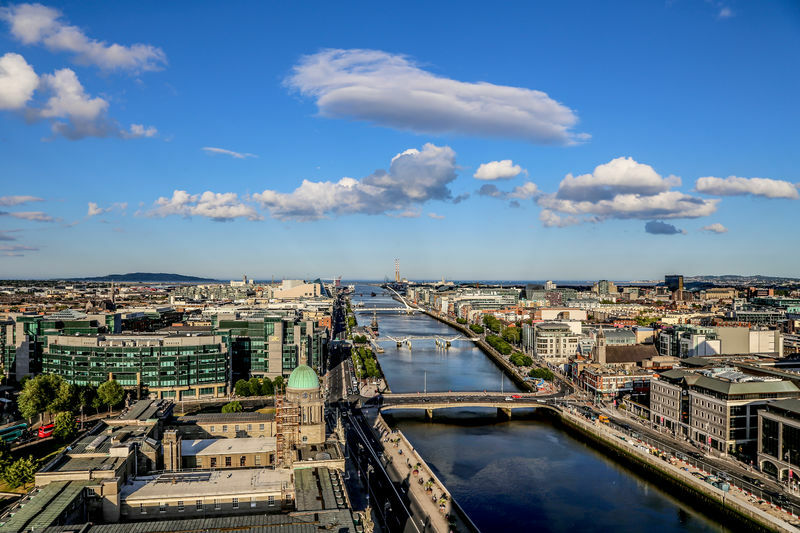 Walk the streets of Dublin to get a feel for its charms, visiting the Molly Malone statue in the south, passing through bustling Temple Bar and over the Liffey on the Ha'penny Bridge to see the Spire and GPO on the north side. Take a Liffey tour with a guided boat trip, or opt for a Viking Tour to see the city by bus and water; the vehicles used morph to cover both terrains. Head to the gorgeous Trinity College buildings to see the old library and view the Book of Kells, or marvel at an incredible collection of books, scrolls and bible fragments in the Chester Beatty Library near Dublin castle. Other places of interest include Phoenix Park with its wild deer, quaint tearoom and lovely zoo. Also try the Jameson Distillery, Kilmainham Gaol, the botanic gardens and Dublin Writers Museum. There are regular open-top sightseeing buses that you can hop on and off to get around more quickly. For art, try the traditional National Art Gallery and the Hugh Lane Gallery of modern art; here you'll find an excellent piece of Harry Clarke stained glass as well as Francis Bacon's studio. There's also a weekly programme of free, classical lunchtime concerts on Sundays. Take in some music around the city, there's live music every night. Hotspots to try include O'Donaghue's, the starting place of the infamous Dubliners, and the Cobblestone on Smithfield which attracts accomplished traditional musicians for jigs and reels sessions. Alternatively, try the National Concert Hall for opera and orchestra. Theatre is a staple in Dublin, with several theatres to choose from including The Gate, The Abbey, Bord Gais Energy Theatre and the old-fashioned favourite, The Gaiety. And you can't visit Dublin without trying a pint of the black stuff, so head to the Guinness Factory to find out the history and how it's made, before pulling your own pint in the rooftop panoramic bar. 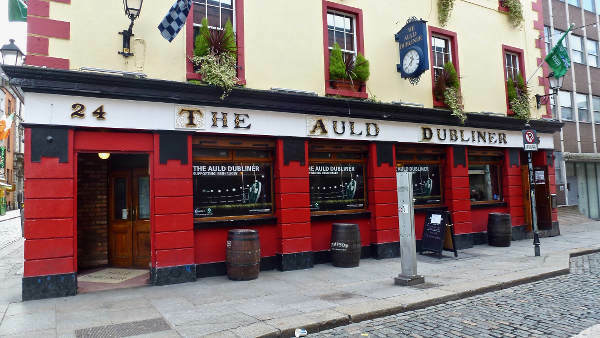 Alternatively, head to Toner's pub on Baggot Street; it has one of the best snugs in the country and pulls a great pint. .
Dublin the Capital City of Ireland holds a wealth of Ireland's History which can all be found at the National Museum of Ireland. The James Joyce Museum and also the James Joyce Centre, home of Bloomsday in Dublin and where you can find out about this famous Irish novelist and poet. Purchase a Dublin Pass Ticket to gain access to Dublin's top tourist attractions at Discount Rate places such as Dublin Castle, Dublin Zoo, Christ Church Cathedral, Dublin City Gallery, Dublin's City Hall, Guiness Storehouse, Dublin Writers Museum, Dalkey Castle and Museum. Enjoy some shopping along Dublin's busy streets, Grafton Street and O'Connell Street. Escape from Dublin's busy street and enjoy some time out in St Stephen's Green Park in the heart of Dublin City or the National Botanic Gardens in Glasnevin. Take in a play at the Abbey Theatre, The Gaiety Theatre or the Gate Theatre. Visit Dublin's Chester Beatty Library or enjoy some great music events at The National Concert Hall in Dublin. 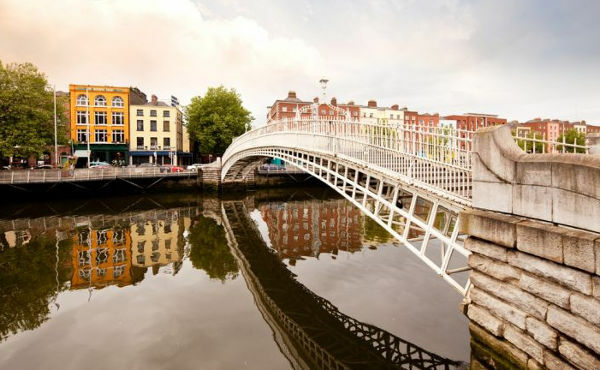 While touring around Dublin take in a canal walk beside the Royal Canal or the River Liffey in Dublin City. Quick and easy pick up and drop off. Great vehicle. - Mark Lang / Glasgow. Very satisfied with the service we received at Dublin Airport. - Charles O'Brien / New York.